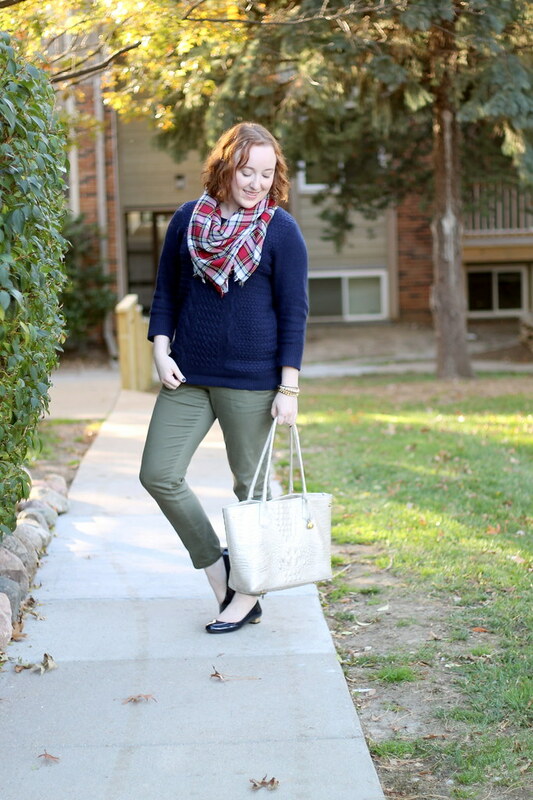 While there’s nothing inherently super trendy or complex about this look, I happen to love this outfit because of its simplicity. 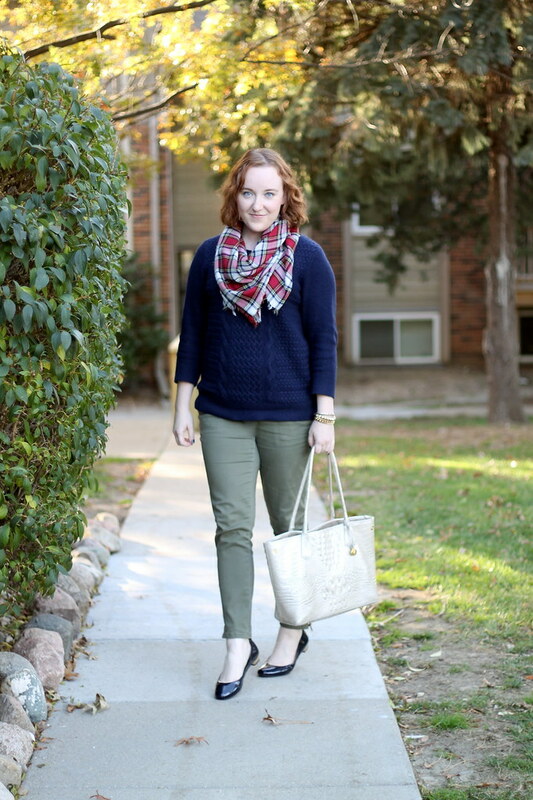 You really can’t go wrong with a cable sweater, skinny jeans, ballet flats and a classic tote bag. 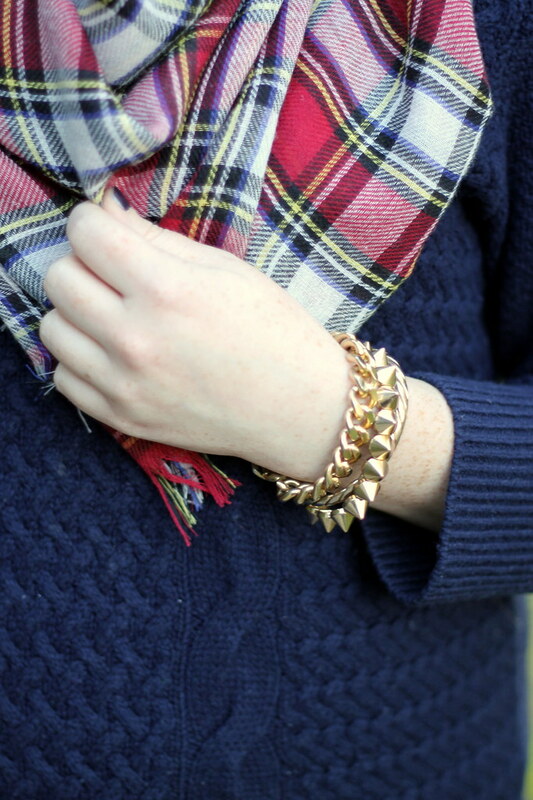 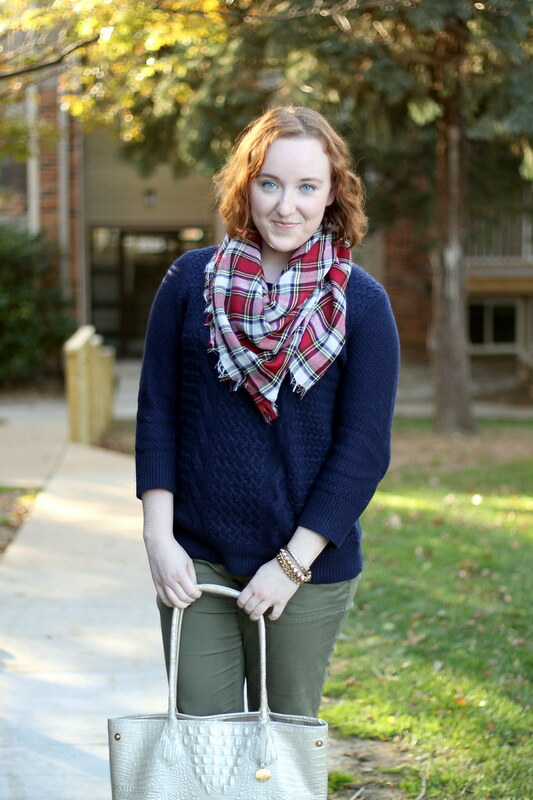 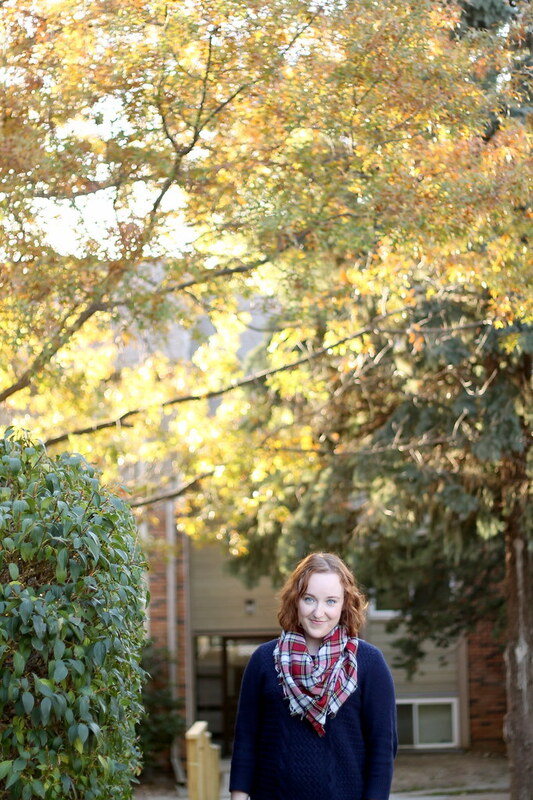 This was my go-to weekend outfit from this past weekend, and the pop of plaid adds just the right touch of fall.